This post is the 3rd instalment from my trip to the New England Tablelands a few weeks ago. 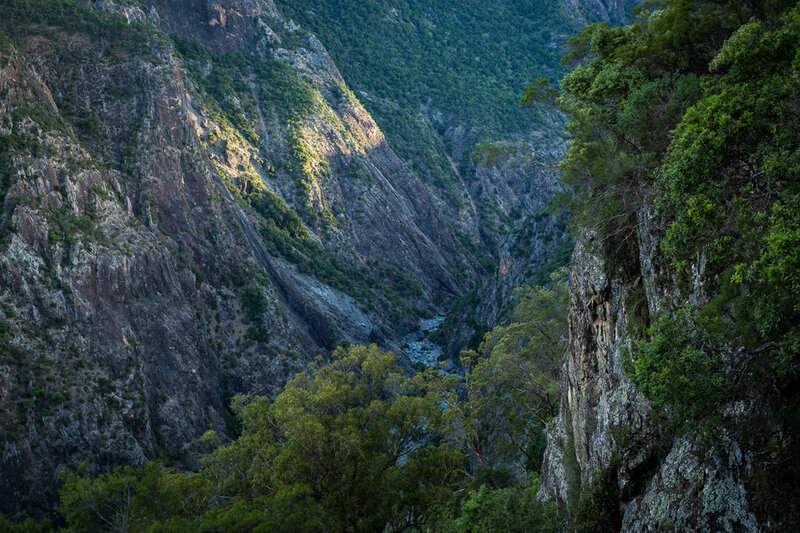 This time around I’m going to take you into New England National Park itself (link | brochure PDF). 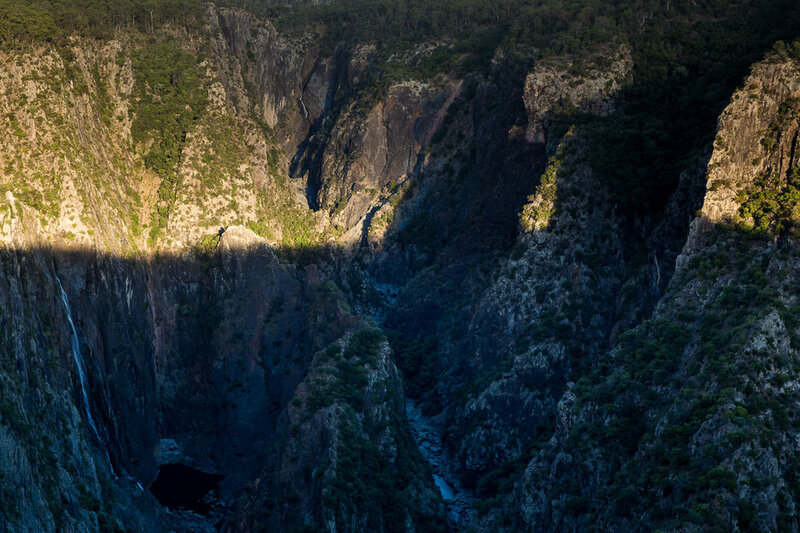 The defining feature of New England National Park is the Great Escarpment - huge basalt cliffs - overlooking rainforest clad wilderness as far as the eye can see. The landscape has been forged by the lava flows of the massive Ebor Volcano over 18 million years ago. Just below the escarpment are cold temperate rain forests, home to Antarctic Beech which are some of the oldest trees on earth. The name speaks to the history of these trees. Their pollen has been found in Antarctica and the distribution of the trees around the Southern Pacific Rim are proof that these trees were once widespread in rain forests across the ancient continent of Gondwana (modern day Australia, Antarctica and South America) when the dinosaurs roamed over 100 million years ago. 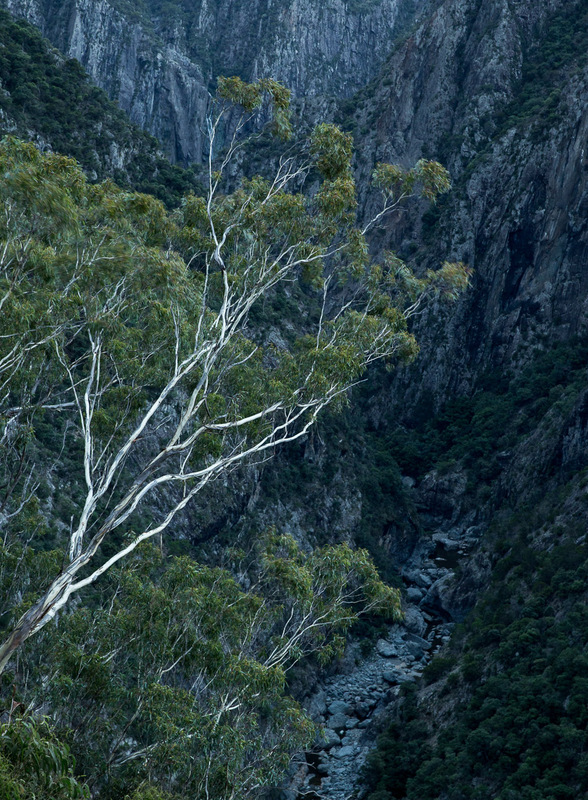 As the Earth has warmed, these trees have sought sanctuary in the cooler upper climbs of the Tablelands here in Australia, and are protected by the Gondwana Rainforests of Australia World Heritage Area. You can read more about the Southern Beech, the genus to which the Antarctic belongs, here. Point Lookout sits atop the Great Escarpment and, as for so many photographers before me, was where I went to take in sunrise, looking east over the wilderness. Well, that was the plan anyway. My headlights diffused through ever thicker patches of fog as I climbed Point Lookout Road. I walked the short distance to the viewpoint to be faced with the inevitable - thick cloud and fog as far as the eye could see. Which was about 3 metres. At an elevation of 1,564m it’s not unusual to be stood in a cloud here, though on clearer days the view extending east towards the coast usually sees the fog nestled in the numerous valleys. I sat in the rain and the darkness waiting for the cloud to clear, knowing from past experience that it wasn’t going to happen. 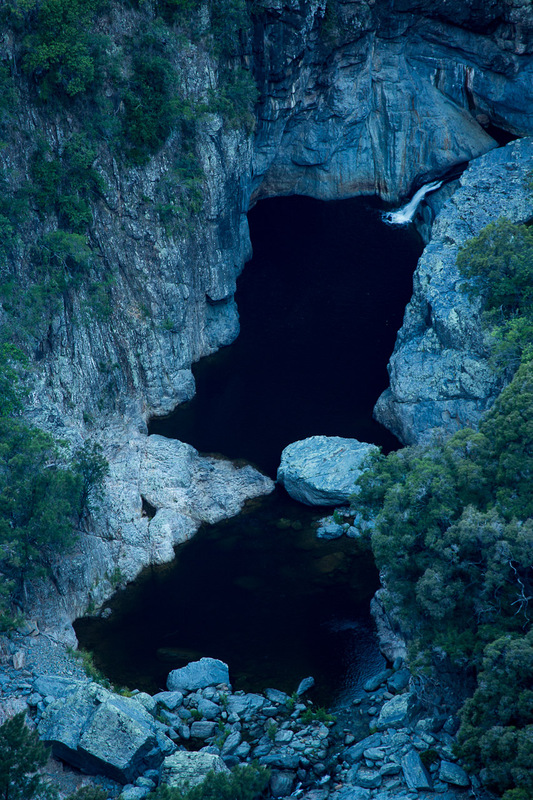 A hole into the landscape beyond offered hope for the briefest of moments before quickly shutting closed again. So no glorious sunrise to speak of, but my main intention here was to explore the rainforest below which the weather was perfect for. The walk descriptions warned of unsteady and slippery terrain, so I decided to travel light. Given the fairly persistent rain I wanted to avoid lens changes too, so I took my Fujifilm XT-1 and XF18-135mm lens. This gave me a lightweight, flexible and weather sealed combination plus I’ve always liked how the Fuji renders trees. 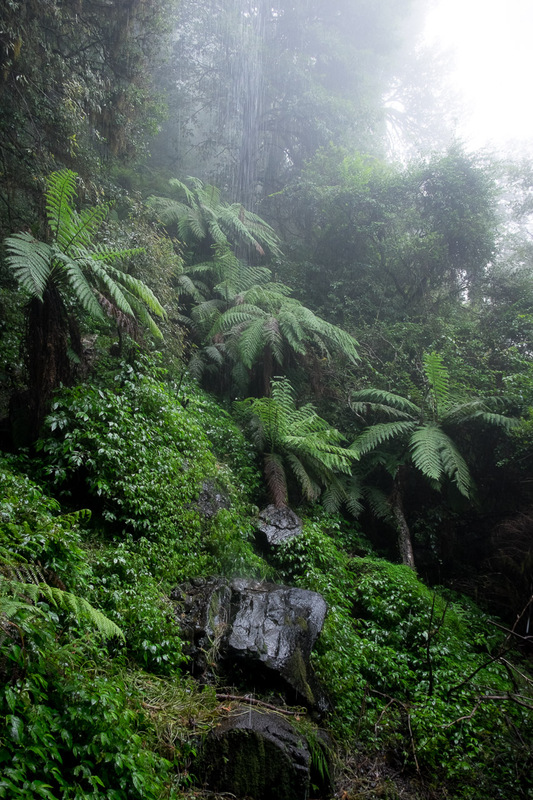 Dropping below the escarpment and into the green gloom of the rainforest was like entering into another world, and given its age I suppose it was. It's difficult to quite put into words the feeling of being in this place. The vegetation was thick, vines and moss hanging from the trees, lichen crusted to the rocks and trunks. Precipitation fell from above, from the clouds or the trees I no longer knew. 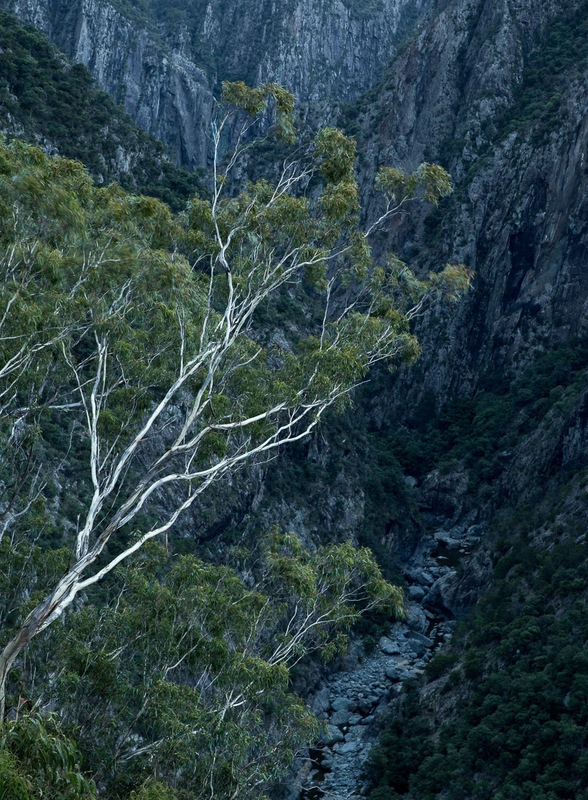 Before arriving in Australia I had read and looked at the wild forests of Tasmania, and enjoyed Peter Dombrovskis’ beautiful work from there. The Gondwana rainforest I was now standing in evoked in me that same sense of ancient, primeval woodland. Here it was on my relative doorstep and I was in awe of it. The colours, the shapes, the sense of entaglement, the visceral experience all soaked into me as the rain. Ordinarily when walking somewhere new I have an impulse to move too quickly, eager to overcome any obstacles earlier rather than later. This often impacts my photography, not allowing myself to dwell too long. Eager also to escape the rain, I would hasten along until the wild forest would give me pause, and then it begged me to stay a while longer until I lost all sense of time. With so much potential it was easy to feel overwhelmed at times. Many of my images were shot handheld, relying on image stabilisation and higher ISO to get me sharp pictures in the murk. When surrounded by the confusion of branches, vines and mosses, looking through the viewfinder provided a welcome respite and it becomes easier to find compositions. The danger is that almost anything looks good through the viewfinder here. The challenge I find is to keep focused on strong shapes and contrasts to provide the viewer a clearer path through the undergrowth. Once I found something I was happy with I would then use my tripod for a sharper result. However, as is so often the case, I came home really loving the 'sketch shots' (for want of a better word) I had made while exploring the forest. At high ISO (a couple are at 3200), relying on IS and without the finesse offered by careful composition on the tripod they lack technical perfection. Nonetheless I love them and for me they have captured the spirit of the place. Indeed, technical perfection in a place like this almost seems at odds with its wild nature, thought that does sound like I'm making excuses! I will quite happily print them, so it’s all good. I’m returning to New England in a few weeks. With the benefit of a longer trip I'm hoping to go slower, work more deliberately, and lose myself - metaphorically rather than literally - in the forest for a while. I often find that first visits happen all too quickly, eager to see everything rather than enjoying the gifts to be found in what can be just a small area. It’s often in the return visits, after some reflection and with a slower pace that I find better images present themselves. Finally let me leave you with Wright’s Lookout from where the featured image at the top was made. Wright’s is a couple of kilometres from the road through the forest, perched atop an ancient trachyte remnant of Ebor Volcano. From here the views back towards the basalt cliffs below Point Lookout and again east across the rainforest are quite remarkable. The view stretches for mile upon mile over wooded mountains and valleys, the like of which I have never seen with my own eyes before. A real advantage to this 'lookout' is that it is a wide plateau. Due to the poor soil the vegetation is low lying heath. This means that there are many more views and compositions that can be made here than from most, manmade, lookouts. I really loved my first visit to New England. 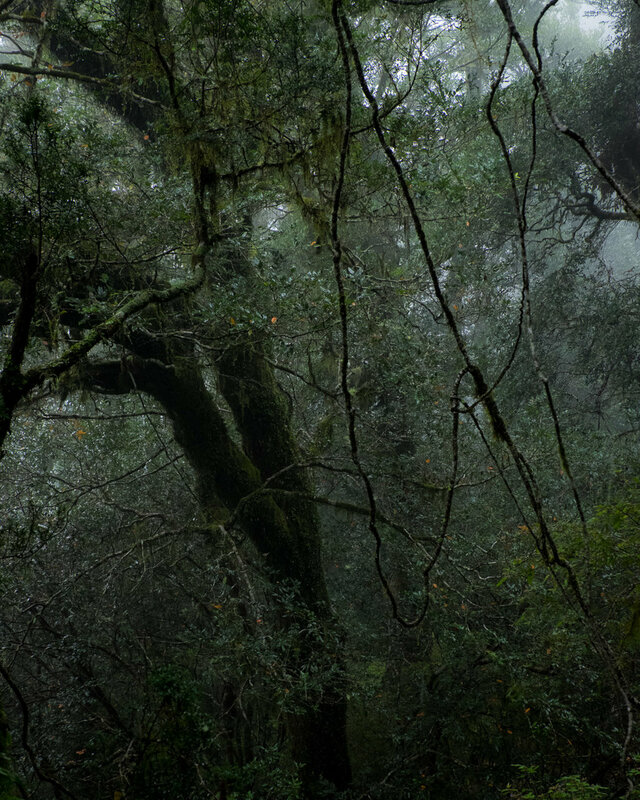 I’m excited about returning and spending more time exploring the rainforests of Gondwana, with the hope of creating a new body of work that evokes at least some of its wonder.